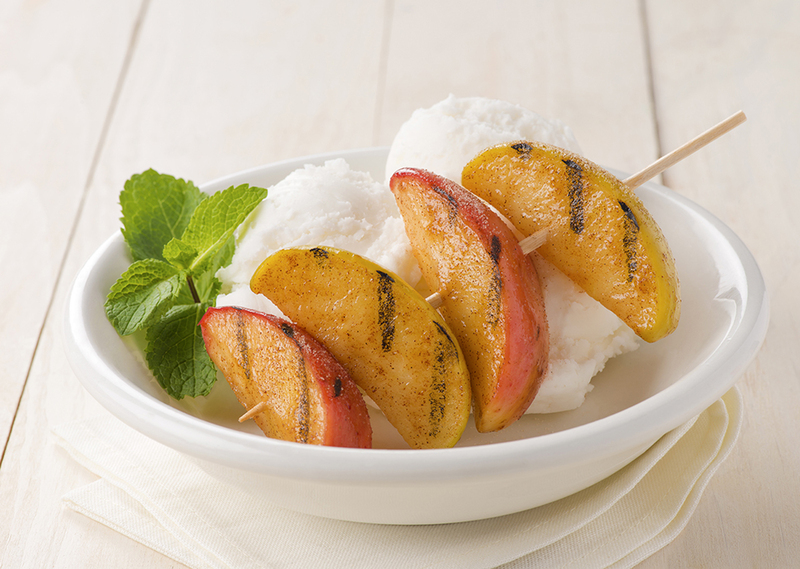 This simple and delicious dessert is like apple pie on a stick. Serve with yogurt, ice cream or on just their own. Stir sugar with cinnamon until combined; set aside. Preheat your George Foreman Grill for 5 minutes with the lid closed. Meanwhile, cut each apple into 8 wedges. Thread evenly onto skewers. Brush skewers with butter then sprinkle with 1/2 tsp cinnamon sugar all over. Place skewers on grill and cook for 2 minutes, turn and continue to cook for 1 to 2 minutes or until tender and golden. Sprinkle remaining cinnamon sugar onto each skewer. Serve warm. Tip: This recipe also works nicely with pears.